What if we really didn't have to die to go to heaven? What if we could prove to ourselves through direct experience that spirit worlds exist, that there is no death, that we all are immortal, and that our departed loved ones are fine? We can and they are. Dr. Susan Allison shows us how in this breakthrough book. She teaches how to go into shamanic trance and spirit travel to other realms to meet animal helpers, spirit allies, and gurus, divine teachers and loved ones. Using the information in this book, you�ll meet and connect or reconnect with your soul tribe. We can overcome our fear of death and feel comfort in knowing where our departed loved ones have gone. No one needs to wait to have a near-death experience before visiting a level of heaven; everyone can go now, meet with spirit allies, guides, and teachers and transform their lives. 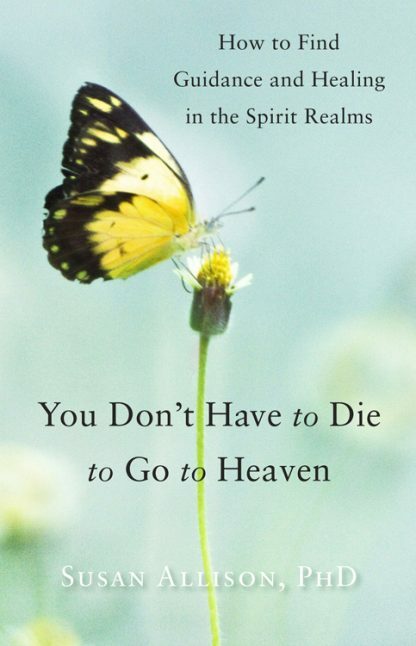 Dr. Susan Allison is the author of five books, Conscious Divorce, Breathing Room, Empowered Healer, Our Spirits Dance and now, You Don�t Have to Die to Go to Heaven. As a Transpersonal Psychologist, shamanic practitioner, and energy healer, Dr. Allison encourages clients, readers and followers to become empowered and willing to do the deep inner work to heal and fulfill their souls� purpose.